This book simultaneously tells a story-or rather, stories-and a history. The stories are those of Greek Leftists as paradigmatic figures of abjection, given that between 1929 and 1974 tens of thousands of Greek dissidents were detained and tortured in prisons, places of exile, and concentration camps. They were sometimes held for decades, in subhuman conditions of toil and deprivation. The history is that of how the Greek Left was constituted by the Greek state as a zone of danger. Legislation put in place in the early twentieth century postulated this zone. Once the zone was created, there was always the possibility-which came to be a horrific reality after the Greek Civil War of 1946 to 1949-that the state would populate it with its own citizens. Indeed, the Greek state started to do so in 1929, by identifying ever-increasing numbers of citizens as "Leftists" and persecuting them with means extending from indefinite detention to execution. In a striking departure from conventional treatments, Neni Panourgia places the Civil War in a larger historical context, within ruptures that have marked Greek society for centuries. She begins the story in 1929, when the Greek state set up numerous exile camps on isolated islands in the Greek archipelago. The legal justification for these camps drew upon laws reaching back to 1871-originally directed at controlling "brigands"-that allowed the death penalty for those accused and the banishment of their family members and anyone helping to conceal them. She ends with the 2004 trial of the Revolutionary Organization 17 November. 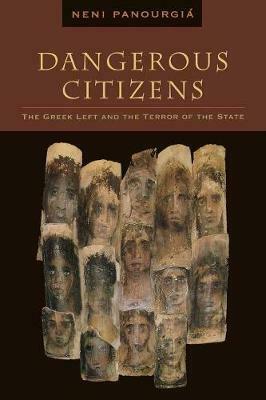 Drawing on years of fieldwork, Panourgia uses ethnographic interviews, archival material, unpublished personal narratives, and memoirs of political prisoners and dissidents to piece together the various microhistories of a generation, stories that reveal how the modern Greek citizen was created as a fraught political subject. Her book does more than give voice to feelings and experiences suppressed for decades. It establishes a history for the notion of indefinite detention that appeared as a legal innovation with the Bush administration. Part of its roots, Panourgia shows, lie in the laboratory that Greece provided for neo-colonialism after the Truman Doctrine and under the Marshall Plan.